What are PTSD and CPTSD? To have a better idea of what Post-Traumatic Stress Disorder (or PTSD) and Complex Post-Traumatic Stress Disorder (CPTSD) are, they are basically anxiety and trauma symptoms due to stressful events that a person has experienced. These events generally have a huge impact on a person’s life and can cause a great deal of depression and worry which can effect one’s quality of life. CPTSD is more of a trauma that has been repeated; meaning it has occurred on more than one occasion. It can last for many years, making it hard to let go of the situation or event that caused the trauma to begin with. Although there are many different types of therapy that can help with these trauma stress disorders, woodworking has been quite successful when it is taken up as a regular hobby, to help cope with things that have occurred in past life events. Having something that you have completed in your hands instead of a sort of meditation that leaves you with a sense of feeling better, is much different because of the existence of what you created during the act of the woodworking session. This is what sets woodworking apart from other methods that are used for the purpose of reducing trauma stress. It is important that there are enough woodworking sessions taken over time. The key is keeping your mind busy working with your hands, and doing something productive. 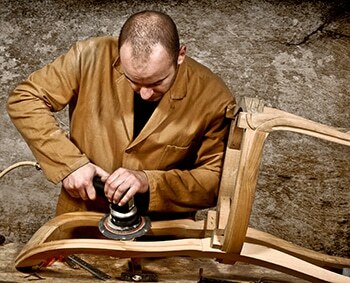 The more you take part in woodworking projects, the more satisfied you will feel over time. It helps those who have suffered from trauma feel accomplished and also regain their sense of meaning in life. While there are many places that offer woodworking workshops to the public, you can definitely start your own workshop for therapy purposes. It’s not necessarily a huge investment to get started on your own woodworking shop, depending on how you started. There are many people who use their garages as place that they can go too for a woodwork session, but then there are some people who would rather go to public woodworking events to meet with other like-minded people who may suffer from PTSD or CPTSD like them. It’s really all about personal preference, but you can purchase materials bit by bit at your local home improvement store. Whatever your preference is, you would be making a great decision to partake in such a therapeutic hobby that will help to enhance your quality of life. Robert is a woodworking enthusiast and is the founder, owner, and main author of Sawinery.net. His blog site is dedicated to his personal reviews of saws and his quest to write about woodworking projects and fascinating stories of woodworkers as well. This includes amazing success stories of people with autism who have succeeded in taking on woodworking as a hobby, career, or business. Through such stories, Robert aims to inspire other people to try out woodworking despite any challenging circumstance they might have. Editor’s Note: A good free source for reviews of power equipment is Healthy Handyman. Every woodworker allows hardworking to improving our lifestyle. Every profession has some risk. It’s avoided by proper consultation.thanks. Hi am Mithun, well i am looking to contribute an article could you please share me the procedure how can i post it in your website..